To grow your business, you have to evolve and take risks. Here's how to make sure the industry's changing trends don't leave you behind. If you run a business, change can be scary. Especially if your profit margins are tight while competitors flood your region. Those in the fitness industry confront these dynamics on a regular basis. Disrupters in the form of new exercise trends (e.g., functional fitness), and studio concepts (e.g., SoulCycle) continue to challenge club owners who must respond to the demands of a marketplace changing at an alarming pace. What many in the fitness industry have found is that success doesn’t come from being “reactive” to trends; it comes from being innovative in a forward-thinking way. This is a challenge not only for club operators, but also equipment manufacturers, whose upfront investment is usually a higher risk proposition than it is for club owners. To borrow phrasing from Zen philosophy, don’t follow the trend, be the trend. You need to cast a wide net and be in tune with changes in the field. 68% anticipate organizations will harmonize consumer experiences. These soaring consumer expectations put pressure on businesses to increase their “speed of innovation,” according to the IBM report. This puts traditional club owners at a disadvantage when competing against boutiques and studios, who can be more nimble when meeting consumer demands because of their smaller scale. “The recent rise of specialized studios attests to the lucrative potential of focusing a smaller facility on a speciﬁc offering or service,” writes John McCarthy, former executive director of IHRSA, in the IHRSA Health Club Business Handbook. What club owners need are equipment partners who can meet consumer expectations by bringing specialized services to a traditional club setting—and do so on a cost-effective basis. You need to heed the “customer expectation gap.” Consumers expect their clubs to give them more than a room full of weights and machines. These days you have to give your members an experience, not just a workout. Specialized training modalities, such as high-intensity interval training (HIIT) and functional training. More technology options. Equipment with increased entertainment choices and app/cloud support. More group exercise classes. Meet the growing demand for group instruction. Better equipment aesthetics. Updated design elements send a message to members that you’re giving them the latest and greatest options. The “Spinning” Difference. To provide the ultimate indoor cycling experience, Precor offers Spinning, the trademarked industry leader in indoor cycling, instructor educations, and programming for more than 25 years. The patented Spin bikes deliver an energizing studio-quality ride. Also part of the line is Spinner Chrono, the most accurate power bike on the market, and the Spinner Climb. More group training options. Precor will offer Precor Master Coaches to teach effective small group-training programming in your facility. Preva Partner Store. 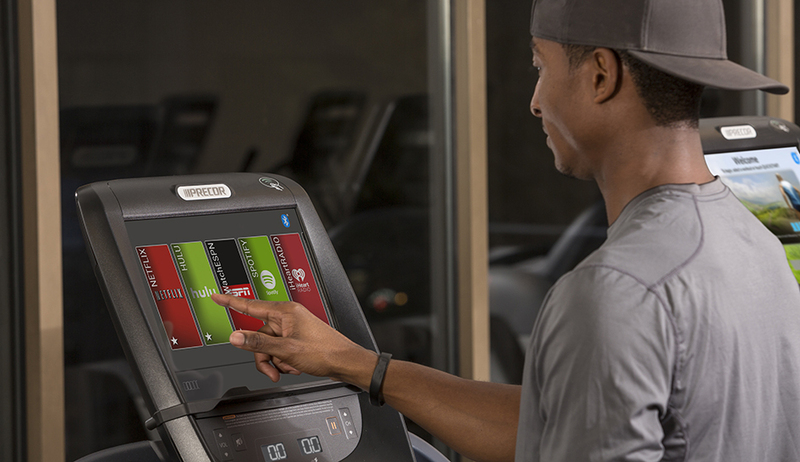 Precor’s commitment to forward-thinking innovation is backed by their unique networked fitness solution: Preva. With Preva’s new partners, like EXOS, ClubCom, eGym, and RunTV, your facility can truly enhance your exercisers’ cardio experiences. The Bluetooth headphone pairing and single sign on between Preva accounts will allow users to access entertainment apps like Netflix and Hulu. Consumers like to stay connected. With Precor, they will be. Helping health clubs satisfy all of these requirements is a challenge that was accepted by Precor, a prestige equipment brand that’s determined to be a catalyst for change in the industry. Precor recently completed a dramatic rebranding that they will unveil at IHRSA 2018 in San Diego. 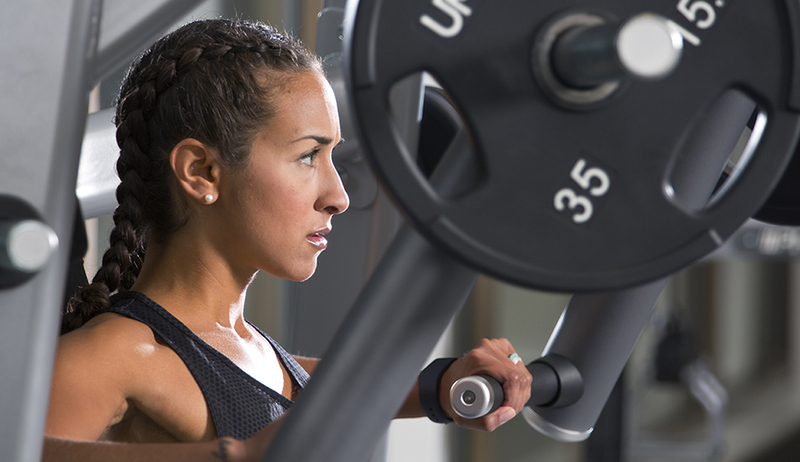 Precor is determined to help club owners and operators get the most out of their facilities. They’ll work with you to help you innovate and meet the demands of a changing marketplace. Stop by their booth at the IHRSA 2018 trade show and see their dramatic new look in action.